Canola farmers whose livelihoods have been targeted by China in its feud with Canada say it’s time for the federal government to be aggressive at the political level in its fight against a growing number of agricultural trade barriers around the world. Several producers told two parliamentary committees Tuesday that China’s recent rejection of Canadian canola-seed shipments is only the latest trade disruption that’s hurt the country’s agriculture sector. They reminded MPs in Ottawa about a number of major trade obstacles faced by Canadian agricultural exporters in faraway markets like India, Italy, Vietnam and Saudi Arabia. “Canada can feed the world but not if our government does not act strongly on our behalf, removing non-tariff trade barriers, enforcing existing trade agreements and removing political roadblocks,” Alberta canola farmer Stephen Vandervalk told the House of Commons agriculture committee. Any extended canola dispute with China, which imported $2.7 billion worth of canola seed from Canada last year, would deliver a painful economic blow to producers, the supply chain and the wider Canadian economy. The price of canola has fallen since the dispute started last month. The late-winter timing of the disruption has been particularly difficult because it’s forced many farmers to suddenly rethink the planting decisions vital to their businesses. On Tuesday, producers made it clear to MPs at the committees that even with the urgency around the China conflict, the pain is not only about canola. Canadian farmers, they said, are staring at other big trade hurdles in world markets. Several of the witnesses mentioned issues that have affected Canada’s durum wheat exports to Italy, wheat sales to Vietnam, pulse exports to India and feed-barley shipments to Saudi Arabia. Saskatchewan grain farmer Mehgin Reynolds (who is seeking a Conservative party nomination) told MPs that, for instance, her four-year crop rotation includes lentils, barley, canola and durum wheat — all products that face obstacles on foreign markets. “The frightening reality is that almost every crop being grown in Canada is currently struggling with one trade barrier or another,” Reynolds said. The Liberal government has insisted it wants to find a scientific solution to the canola dispute, in keeping with China’s insistence that the problem is tainted seeds. The Liberals have established a working group that includes officials from Richardson International Ltd. and Viterra Inc. — the two exporters that have had their licences to sell canola revoked by China — and representatives from the governments of Alberta, Manitoba and Saskatchewan. Agriculture Minister Marie-Claude Bibeau has requested to send a delegation of experts to China to examine the issue. She’s said officials are exploring options to support farmers by expanding existing programs. “This is a political issue plain and simple. Political problems need political solutions,” agreed Vandervalk, who’s also vice-president representing Alberta with the Western Canadian Wheat Growers Association. If companies can’t pay, taxpayers could be on the hook. Scattered across Alberta are more than 300,000 oil and gas wells. About 167,000 of them are inactive and abandoned wells that a coalition of landowners, researchers and former regulators call a “ticking time bomb” that will eventually leak, polluting farmlands, forests, waterways and even playgrounds. Oil and gas companies are legally required to clean up these wells through a reclamation process, but there is no timeline for when they have to do so. And an increasing number of companies can’t pay the cleanup cost. Ahead of next week’s provincial election, the coalition called the Alberta Liabilities Disclosure Project has released internal documents from the Alberta Energy Regulator that show the estimated cost of cleaning up these wells is between $40 and $70 billion. That’s much higher than the regulator’s publicly disclosed number of $18.5 billion for the cleanup of oil and gas wells, excluding steam-assisted oil sands production. The coalition is calling on all political parties to commit to releasing independently verified estimates of Alberta’s environmental liabilities, if elected. Jason Kenney’s UCP platform says the party would create “a framework to reclaim abandoned wells in Alberta.” The party says it will “streamline” the process for abandonment and reclamation to “reduce costs” and “increase the rate” at which wells are abandoned. It also says it will work with AER and industry to ensure liabilities are covered without discouraging new investment. The party also promises to ask the federal government to provide tax incentives to encourage reclamation. In their platform, the Alberta Liberals propose an “oil patch cleanup bond” to make companies pay, and say they will set timelines for reclaiming well sites. In 2018, the Toronto Star, National Observer and Global News obtained an internal presentation from the regulator that estimated the cleanup cost of all mining, oil and gas wells and pipelines at $260 billion—much higher than the AER’s public estimate of $58 billion. The regulator later walked back that number, saying it was “based on a hypothetical worst-case scenario” and it was trying to “hammer home” the liability message to the oil and gas industry. A Supreme Court ruling now forces firms to clean up abandoned wells before paying creditors. That doesn’t solve much. How will Alberta find the billions of dollars needed to clean up its inactive pipelines, wells, plants and oilsands mines as the oil and gas industry enters its sunset years? Photo: Premier of Alberta Flickr. A Supreme Court of Canada ruling that bankrupt oil and gas companies must clean up their abandoned wells before paying creditors might sound like good news, but it doesn’t solve a growing crisis in Western Canada’s aging oil patch. Just how will an increasingly indebted industry, hobbled by low energy prices and rising costs, find the up to $260 billion needed to clean up its inactive pipelines, wells, plants and oilsands mines as it enters its sunset years? To date permissive provincial regulations have created the problem by only requiring industry to set aside $1.6 billion for the job. That potentially leaves more than $200 billion in unfunded liabilities for taxpayers. Technically the 5-2 court decision will make it easier for provinces to prevent insolvent companies from selling assets to pay creditors while dumping the cleanup bill onto taxpayers. That’s been a big problem in Western Canada, where lower provincial court decisions have allowed bankrupt firms to pay off banks first and ignore their cleanup obligations under provincial laws. As a result, a number of firms in Alberta walked away from more than 1,800 inactive wells and dumped more than $110 million worth of liabilities onto the lap of the provincial regulator over the last three years. The province’s Orphan Well Association, a non-profit supported by annual $30-million industry levies to prevent taxpayers from footing the cleanup bill, is now so overwhelmed that it was rescued with a $300-million loan from the province and federal government. The Orphan Well Association handled 74 orphan wells (properties with no legal or financial owner) in 2012. Now it has a backlog of 3,000 wells, with each well averaging $300,000 for plugging and reclamation. “The court decision doesn’t solve the underlying problem,” noted Regan Boychuk, an independent researcher with campaign group Reclaim Alberta who has tried to highlight the scale of the problem and advocates for an independent reclamation trust funded by security deposits and solvent oilsand companies to address the liability crisis. Keith Wilson, an Edmonton property rights lawyer who represents landowners, says the court decision still leaves huge unfunded liabilities that could fall on taxpayers. “It is a known fact that the oil and gas industry has made some of the biggest profits in commerce in history. The money was there, but the companies never put some aside to deal with their liabilities and governments allowed them to do that with their eyes wide open,” said Wilson. Finding the money to retire aging wells and pipelines is not just an Alberta nightmare, but also a global challenge. For example, the cost of decommissioning ocean platforms, pipelines and wells in the North Sea — an estimated $46 billion Canadian in 2017 — will exceed Britain’s remaining tax revenues from the industry. A recent report even charged that Britain’s Oil and Gas Authority has underestimated the cleanup cost — now pegged at $130 billion — and that the final cost will probably come in at $140 billion. At least half of that will be borne by taxpayers, suggest critics, despite legislation saying the industry must clean up its own messes. The scale of the problem is even greater in Alberta, as a public presentation by a senior official with the Alberta Energy Regulator revealed last year. Robert Wadsworth, the regulator’s vice-president of closure and liability, laid out the cost of cleaning up aging oil and gas infrastructure during a talk to the Petroleum Historical Society last Feb. 28. Wadsworth’s presentation indicated the full cost of cleaning up old gas plants, inactive wells, aging pipelines and oilsands tailing ponds wasn’t $58 billion — the official number usually cited by Alberta officials — but probably closer to $260 billion. That’s three times the provincial debt of $71 billion. When news outlets revealed the contents of Wadsworth’s presentation last year, Alberta’s regulator reacted strongly. In a public statement the regulator, which is funded solely by industry, apologized for any confusion that the $260-billion estimate may have created. “Using these estimates was an error in judgment and one we deeply regret,” added the regulator statement. That appears to be what Wadsworth tried to do with his presentation. His analysis had everything to do with Alberta’s flawed system for dealing with liabilities in the oil patch. 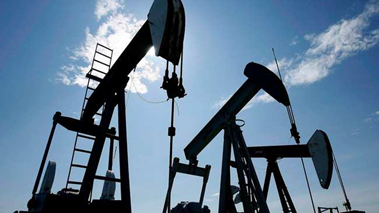 Alberta also requires no specific security deposits for inactive oil and gas well cleanups. Alberta’s Liability Management Rating program, for example, has kept track of growing liabilities compared to assets for about 800 companies in the oil patch for nearly two decades, but it doesn’t collect money for cleaning up liabilities until the companies are “already showing declining financial capacity,” said Wadsworth. In 2005, for example, it calculated that more than 33,000 inactive wells and 9,322 unreclaimed facilities created a liability of $9.4 billion, with a $20-million security deposit. The same program has watched as liabilities have grown exponentially. There are now more than 80,000 inactive wells and related liabilities worth $31 billion, with a security deposit of $226 million. “With no timelines for cleaning up inactive wells, the government has incentivized companies to do nothing,” said Wilson. Saskatchewan has the same problem. It has 24,000 inactive wells that will cost at least $4 billion to plug and reclaim, but industry only has a $134-million fund to do it. The Alberta Energy Regulator also has little confidence in the unaudited numbers in its program because the liabilities are reported by industry. Fixing these flaws with bigger security deposits and timely abandonment measures should have happened decades ago under Alberta’s Conservative governments, but no politician acted on the problem. “Historically, even though we have known these programs were flawed, there have been no proactive changes made. Why has there been no political will to make changes?” Wadsworth asked in his presentation. “We can continue down our current path until the impacts are felt by the public… or we can start to implement the numerous changes that we now know need to be made,” he said. In his presentation, Wadsworth also broke down Alberta’s growing liabilities. The oilsands, including nearly 200 square kilometres of toxic tailing ponds and mountains of sulphur, presented the highest liability of $130 billion, according to Wadsworth’s presentation. The total liability of $260 billion, said Wadsworth in his presentation, was a “rough estimate” and was expected to grow as more data becomes available. Alberta’s orphan wells have become a liability crisis. The liability nightmare for cleaning up oil and gas infrastructure extends to other provinces and states. Just about every oil- and gas-producing state in the U.S. has reported a growing backlog of abandoned wells left by bankrupt operators with insufficient funds for cleanup. A recent study found that current security bond amounts are lower than the average cost of plugging orphaned wells in 11 of the 13 states analyzed. Unlike Alberta, most U.S. states require companies to pay a cleanup bond before they are allowed to drill. But the bond amounts, which ranged from $10,000 to $100,000, are too low to cover the cost of plugging and reclamation. In B.C., the Oil and Gas Commission holds only $100 million for the eventual cleanup of 27,000 wells and pipelines, a job that could cost billions. Like Alberta, B.C. uses the same Liability Management Rating program in which operators don’t pay any security monies for reclamation until their deemed liabilities exceed their deemed assets — a system that ignores the rising volatility of oil and gas prices. To date the B.C. regulator has collected $100 million, largely in the form of letters of credit. The B.C. auditor general is currently investigating the program. Even the program’s 2017 annual report expresses doubt about the program’s adequacy given the impact of low prices on companies. In Alberta, the biggest obstacle to reforms remains the province’s divisive and oily politics, says Edmonton lawyer Wilson. “The NDP and the United Conservative Party are now in competition for being the biggest cheerleaders for industry. The NDP won’t do anything because they are afraid that the UCP will use it as an example that they are against the oil and gas industry,” he said. As a result, neither party is serving the best interests of the environment or taxpayers, said Wilson. Last year, Alberta Premier Rachel Notley responded to Wadsworth’s calculation of a $260-billion liability by saying the situation couldn’t be addressed immediately. “It’s a problem that has accrued over, I guess now we’d be talking 47 years, but it’s not one that happened overnight and, unfortunately, it’s not one that we can fix overnight,” she told reporters. Alberta has only two options remaining, said Boychuk, who has asked the province’s auditor general to investigate the regulator for its handling of oil patch liabilities. OTTAWA – The Supreme Court of Canada says the trustee for a bankrupt Alberta energy company cannot simply walk away from unprofitable wells on agricultural land without having to clean up. The Supreme Court ruled Thursday that the bankruptcy trustee, Grant Thornton Ltd., cannot walk away from its end-of-life obligations to render abandoned wells environmentally safe. Wagner said Parliament might want to re-examine the provision “given the confusion caused” in this case. The company’s trustee did not comply, and filed its own counterclaim that included a challenge to the regulator’s action, citing the paramountcy of federal bankruptcy law. Since the case went to court, an estimated 1,800 wells representing more than $100 million in liabilities have been abandoned. By Letter to the Editor on January 30, 2019. Our provincial NDP government is clearly attempting to ram as much solar and wind power as possible onto our electrical grid before likely losing this spring’s election. They are doing this using an auction format to give the process the appearance of competitiveness. After each auction, Rachel and others gleefully announce that the successful green bidder’s kilowatt hour prices are becoming very close to what existing conventional generators are paid. That exaggeration wouldn’t be true even if the power provided by these new intermittent and unreliable sources was remotely similar to that from existing sources. The many hidden costs surrounding green energy are rarely discussed. A few details must be understood to fairly compare solar/wind power to what is called “base-load” generation (coal, gas, hydro, nuclear). Base-load power is constantly and reliably available to customers 24/7 and efficiently utilizes transmission line capacity because it typically provides at least 90 per cent of its name-plate capacity when required. Solar and wind generators, by comparison, can’t be relied upon to provide any needed power at a point in time. Every night, solar production dies completely as well as supplying minimal output in Alberta’s winters or on cloudy days. An average of 15 per cent of name-plate capacity is typical of annual solar output in Alberta. Wind power is similarly unreliable and averages 25 per cent of its designed output throughout the year. But both require an overbuilt transmission and infrastructure capacity to occasionally handle 100 per cent of their maximum output. As a result, green power transmission assets are severely under-utilized through the course of the year. This represents huge, wasteful fixed costs charged to our energy bills. Check one of your recent electrical statements to see how these fixed charges already exceed kWh costs. And one last critical point is that as new expensive wind and solar generators are built, not one kW of existing generation can be retired because it has to be there as a backstop for times when green energy produces next to nothing as it often does. This effectively is a pointless, politically motivated duplication of electrical generation assets that will cost us dearly! In a case which could have implications for the provincial government’s ambitious targets for renewable energy generation, the Municipal Planning Commission for the MD of Pincher Creek, which has one of the largest densities of wind farms in southern Alberta, rejected the proposed Windy Point Wind Project earlier this month after about 80 local landowners said enough was enough. “There’s two issues,” said Bill Trafford, president of the Livingstone Landowners Group which led the charge against Windy Point. “When you see a beautiful windmill turning on a green pasture, it looks great, but the problem is these wind farms are creating linear disturbances through environmentally sensitive areas. Even though they bury the line, they are still having to get access to them by building roads and so on. Trafford said the proposed Windy Point Project poked a sleeping bear, and has awakened it. And these concerns are not falling on deaf ears, confirmed MD of Pincher Creek deputy reeve and MPC vice-chair Rick Lemire. Lemire expected the Windy Point decision to be appealed, but admitted the feedback received from so many local landowners opposed to the project weighed heavily in the MPC’s deliberations. Marc Stachiw, president of the Alberta Wind Energy Corporation which had applied to build the Windy Point Project, confirmed in an email to The Herald that his company was exploring its options to make an appeal. Stachiw also confirmed his company was aware of the Livingstone Landowners Group’s criticisms. Stachiw said the economic benefits of such a project should speak for themselves. The story of Alberta’s $100-billion well liability problem. How did we get here? Landowners once promised a fair share for hosting oil and gas infrastructure on their properties say Alberta’s liability management system is broken. They’re worried the regulator has long been propping up the industry by exaggerating profits and underestimating the costs of cleanup — often leaving landowners with a tangled mess of wells, rusty pipes and contaminated soil. In the middle of snow-speckled fields just off the Crowsnest Highway near Taber, Alta., rusting barrels dot the landscape, among storage tanks and lines of pipe. Soft plastic tape that has peeled off pipes ripples in the cool October breeze. This site is now classified as an orphan, ever since the company that owned it, Neo Group, went bankrupt three years ago. The site is entirely surrounded by crops — mostly potatoes. He points out the site’s wellhead and flare stack, listing possible hazards: soil contamination, dust, issues with farming, invasive weeds. Then he gestures to the adjacent field, full of potatoes. “If there’s a leak and it gets into the potato crop, it’s going right there into the French fry factory,” he says. The site is on a list of facilities under the management of the Orphan Well Association entitled “Orphan Wells to be Abandoned,” where it has languished for at least two years. The list currently contains 2,000 wells that have yet to be properly sealed — known in the industry as “abandoning” — and whose owners are now bankrupt. Beyond the barrels and pipes, there are likely other hazards below the surface. Data shows the total depth of the well at the Taber facility is 407 metres, so the risks reach far below ground level. The problems facing farmers are numerous, Bennett tells The Narwhal. Farmers must ensure their irrigation systems can pass over wells without hitting them, farm around the roads that lead to wellsites, deal with the dust and weeds that come with disturbed soil, and worry about contamination of their crops — and they often face long, paperwork-filled fights to claim the annual rent they’re owed by energy companies. Before he climbs back into the vehicle, Bennett wanders over to the entrance of the site and looks at the now-defunct company’s sign, still hanging prominently on a small shed. “In case of emergency, please call,” it reads, listing a toll-free number for the bankrupt company. Bennett is part of a movement of landowners concerned the government — and the Alberta Energy Regulator in particular — is not only struggling to deal with Alberta’s long-standing well issue, but that the organization is propping up a beleaguered industry without requiring the necessary assurances that wells will be cleaned up in the future. Critics worry that not only are orphan wells already sitting neglected in farmers’ fields across the province, but that a whole new wave of inactive wells are poised to be thrust onto the Orphan Well Association — and that, increasingly, taxpayers may be forced to shoulder the bill. It has been estimated that at the current rate of spending, it would take 177 years to clean up the province’s inactive, suspended, abandoned and orphan wells. In theory, there is a system designed to ensure wells are cleaned up once companies are done with them, ensuring there is money available for proper reclamation, even if companies go bust. But critics worry the system has been perverted to the point that the Alberta Energy Regulator is now propping up the province’s oil and gas companies through accounting systems that exaggerate assets and underestimate liabilities by using outdated information — meaning companies are able to drill new wells despite questions around their ability to pay for their eventual cleanup. The trouble is, the Alberta Energy Regulator is still acting like it’s in an oil boom. And that, he said, leaves landowners feeling powerless when it comes to industry activity on their land. Conventional wells are drilled through layers of earth — soil, layers of rock, groundwater aquifers — to reach a pocket of oil or gas within a rock formation. When they’re successful, the deposits are tapped and brought back to the surface — through a steel pipe that runs the depth of the well, surrounded by concrete — without contaminating any of the layers above. Once the well’s productive life has ended, a company can choose to suspend the well (temporarily take it out of service), decommission it completely by fully sealing it off (known as abandoning), or leave it to sit, unsealed, indefinitely. A well becomes an “orphan” if the company that owns it goes bankrupt, whether it is safely sealed or not. Alberta has no time frames on when a well should be properly sealed and reclaimed, unlike other jurisdictions — deadlines on properly sealing a suspended well range from six months to 25 years in the United States. When things go awry at an inactive well, there’s risk of explosion, soil and water contamination and release of air pollutants, according to Jodi McNeill, a policy analyst with The Pembina Institute. And then there are the emissions. “When something hasn’t been plugged, it just continually releases greenhouse gases into the atmosphere,” McNeill said. As long as the companies that hold the licences to these wells stay financially afloat and honour their cleanup obligations, this isn’t necessarily a significant risk to landowners, Bennett told The Narwhal. One of his concerns is the implications of the Supreme Court’s upcoming decision on the Redwater case — due out this fall. If the lower court’s decision is upheld, it would allow the creditors of bankrupt companies to collect what they’re owed before any money is used for cleanup of the company’s liabilities. In essence, the decision could make cleanup the last priority when distributing any funds a company might have left — a substantial concern for landowners waiting for wells on the property to be cleaned up, and a big potential bill for taxpayers. But critics worry that the regulator is already struggling to do just that. How that number got to be so big is of no surprise to people familiar with how the regulator works. “The [regulator’s] system is not achieving anything,” said Keith Wilson, a lawyer who has been working on these sorts of cases for thirty years. The huge price tag is due, in part, to the large number of wells in the province. A report from the C.D. Howe Institute estimates that there are roughly 450,000 wells in the province — a well for every 1.4 square kilometres in Alberta. It’s estimated that at least a third, 155,000, of those wells are no longer producing, but have not been reclaimed, representing a financial liability for the company that owns them. If the company goes bankrupt, the cleanup responsibility is shouldered by the Orphan Well Association. The Orphan Well Association brought in just $30 million from the orphan fund levy, collected from industry, in 2017. Since 2009, the Alberta government has given the Orphan Well Association more than $30 million in grants and moved to loan the organization $235 million in 2017. The federal government has similarly siphoned public money to clean up after bankrupt companies. Last year, it announced it would allocate $30 million to efforts to clean up orphan wells in Alberta. Last year, the industry-managed Orphan Well Association reported more than $30 million in total expenditures. In that year they abandoned (the term used to refer to plugging, or sealing, a well) just 232 wells. In total, just over 600 orphan sites have obtained reclamation certificates over the years, meaning they have been sealed and the sites have been deemed to have been remediated. In theory, wells shouldn’t end up in the hands of financially unstable companies, because the permissions for and transfer of Alberta’s wells are regulated by the Alberta Energy Regulator, a corporation at arm’s length from government meant to oversee all energy projects in the province. But, critics worry, the regulator’s system isn’t working. There are two primary mechanisms the regulator uses to collect money from companies to fund cleanup of wells left behind by defunct operators. The Orphan Well Levy is calculated by determining a company’s share of total industry liabilities, using a program called the Licensee Liability Rating. Money paid into this levy is used to fund the Orphan Well Association’s annual cleanup efforts. The other mechanism is known as the Liability Management Rating system. In this system, a company’s assets (essentially an estimate of the money it makes from oil and gas production) are measured against its liabilities (the cost to seal and clean up all its infrastructure) to establish a ratio. If the company’s ratio of assets to liabilities is less than one — if it has more liabilities than assets — it must pay a security deposit to the regulator. In theory, this system should ensure that financially unstable companies would have already paid a deposit to cover cleanup costs before ending up in the red. Crucial to the calculation of a company’s assets is the company’s reported production in the previous year, multiplied by what’s known as the “industry netback,” which is essentially a measure of gross profit. This could be a reasonable calculation of a company’s assets if updated regularly, but The Narwhal found the regulator still uses profitability numbers that haven’t been updated in nearly a decade. Keith Wilson is adamant this is very problematic. “The [system] is supposed to be a responsible measure of the ratio of the company’s liabilities to their assets,” Wilson, the lawyer, told The Narwhal. Alberta’s “industry netback” — the standardized measure of a company’s gross profit, used to calculate a company’s financial standing — was set in 2015, but the actual figures used in the calculation of the netback are based on data from 2008 to 2010, according to Melanie Veriotes, a spokesperson for the Alberta Energy Regulator. In essence, this means the regulator is calculating a company’s assets by using a measure taken from a time when oil prices reached nearly 150 USD per barrel and when natural gas prices followed a similar trend. Oil prices declined after the 2008 global recession (and subsequently began to recover in 2010), but the average real monthly benchmark oil price (for WTI crude, commonly used as an industry benchmark) over the three years was still over 80 USD per barrel. In contrast, the average real monthly oil price from 2015 to 2017 was significantly lower — at under 50 USD per barrel. “Oil prices are low today and have been for the last three years,” Lucija Muehlenbachs, an associate professor of economics at the University of Calgary, told The Narwhal by e-mail. This doesn’t sit well with Regan Boychuk, a founder of Reclaim Alberta, a group advocating for the cleanup of inactive wells as a job creation program. He is adamant that the netback was intended to be a regularly updated rolling average, as stated in the regulator’s own rules. “If industry had to pay even tiny deposits towards its cleanup obligations, many many companies would collapse,” he added. Critics say the exaggeration of profits alone is a huge problem, one with big implications for the regulator’s ability to ensure industry cleans up its well sites. For decades, landowners have argued that this is a crucial part of the social contract — that companies pay for the messes they make. “As parents we teach our children that before they go to the next box of Lego, they need to clean up the last box of toys,” Wilson, the lawyer, told The Narwhal. Why, he wondered, shouldn’t industry do the same? The system’s flaws, critics say, mean it’s increasingly feasible that taxpayers will end up on the hook for a larger share of cleanup costs as more companies declare bankruptcy and the Orphan Well Association struggles to keep up. And, as it turns out, the problem isn’t just that assets are exaggerated by the regulator. There’s another important number: the liability estimate. This is the estimate of the total cost to fully seal off and clean up a company’s wells — and it’s essential to the regulator’s balance sheet. The ratio of assets to liabilities is crucial to whether a company can take on new wells, whether it is required to pay a security deposit against the cost of cleanup and the amount it will have to pay into the orphan well fund. Yet the regulator’s liabilities numbers, too, can be wildly off-base. Cleanup costs are calculated based on the Alberta Energy Regulator’s estimates from 2015. These numbers have been criticized for failing to take into account variation in site condition and for being much lower than actual costs. Ronald Thiessen, a researcher at the University of Calgary, has spent years analyzing available data on reclamation costs of Alberta’s wellsites. He found that cleanup costs for at least 60 per cent of wellsites exceed the regulator’s estimates. According to Thiessen, one of the biggest contributors to cost is the amount of contaminated soil that must be dug up, loaded onto trucks and driven away. Salts present big challenges around wellsites, he said, and leaked oil and gas can also be a problem. The regulator uses average cost estimates for reclamation to establish a company’s total liabilities, based on geographic area. The regulator’s estimates of the costs to clean up wellsites range from $16,500 in the grasslands to $42,125 in the high alpine; the average estimate across the seven geographical areas is $28,321. Thiessen’s research, though, found that the median cost of cleaning up an orphan well in Alberta is nearly double the regulator’s estimates, at $53,000 per site. He recommends the regulator raise its estimates of reclamation costs, which he acknowledges would mean a greater cost to companies in the former of the deposits they would need to pay. “Taking an average and applying it to any given site is dangerous,” Thiessen told The Narwhal. She’s also concerned that the regulator doesn’t take into account larger cleanup costs for the outliers — the sites with huge cleanup bills. Wilson, the lawyer, is adamant that the average cost to clean up a site is much higher than the regulator’s estimates — or Thiessen’s research. “I get criticized by people in the industry when I say that the average reclamation cost is $300,000,” he told The Narwhal. Thiessen agrees that the average cleanup cost could be much higher than what his research found, but, he noted, “a larger, more representative and publicly available dataset is required,” — something industry hasn’t released. Wilson points out that even if the average cost to clean up a wellsite was $53,000, the total bill to clean up Alberta’s wells is still enormous. He pulls out his calculator to do a quick estimate. Wilson was asked what was wrong with the regulator’s rating system at a conference earlier this year. His answer was clear. Politically though, that’s tricky. “The current government is in a political competition with its nearest rival, the [United Conservative Party], as to who can project better a pro-industry image,” Wilson told The Narwhal. Some worry that tweaks to the system could mean a financial disaster, pushing more companies to bankruptcy — and more wells on to the Orphan Well Association, which can’t afford to clean up its current inventory. There’s also the possibility, according to Muehlenbachs, the economics professor that “fear for the industry [or] fear of what this says of the industry,” might stop the regulator from making any substantive changes. The idea of propping up companies doesn’t sit well with landowners who have to live with the wells on their land. And if the Redwater decisions stands, which many believe it will, Action Surface Rights worries it could incentivize companies to walk away from liabilities. All of this leaves landowners like Ronald Huvenaars feeling vulnerable. Huvenaars’ dad started a farm in 1964. For years, the family raised hogs, though these days they focus mostly on crops — renting out land for potatoes; producing seeds for Dupont. The land for the family’s farm, When Pigs Fly Farms, is dotted with shelters for the bees that pollinate canola. And then there are the wells. In 1985, an oil and gas company approached Huvenaars’ dad about drilling a well on the family farm. His dad agreed. But things have changed. Huvenaars says there’s no way he’d allow another well on his land without a fight. Action Surface Rights is adamant that the inherent trust between landowners and industry is eroding — and concerned that the way the regulator is enforcing the rules don’t help matters. But for Huvenaars, there’s little he can do when it comes to the two wells on his land, other than hope for the best. For many landowners, there’s a feeling of powerlessness when it comes to dealing with industry. The new deal gives American farmers’ tariff-free access to 3.6 per cent of Canada’s dairy market. America will soon be able to send hundreds of millions of dollars of more product into this country. It also abandons Class 7, a scheme that governed the price of certain ingredients like skim milk powder and proteins—to the advantage, American farmers complained, of Canadian producers. Conservative leader Andrew Scheer accused that Trudeau’s Liberals “backed down” when it came time to protect Canadian dairy farmers, while the NDP’s Jagmeet Singh said the new deal “betrayed” producers by “eroding supply management.” On Tuesday, Chrystia Freeland told the CBC that dairy farmers will be compensated for losses. That did not seem to soften the tone of producers, who voiced their displeasure on social media. “A handful of dollars doesn’t replace the livelihood of dairy farmers,” tweeted the DFC. USMCA will mean more American labels on Canadian shelves, which is an unnerving reality for an industry that has been largely protected by supply management. But does this really sacrifice Canadian dairy farmers, as the DFC argues? And are they really in such a precarious position? Here’s what the country’s dairy industry really looks like. How big is Big Milk in Canada? Dairy farming is unquestionably important to Canada. It’s one of the largest agricultural sectors in the country and contributes roughly $19.9 billion to the country’s GDP annually, according to the DFC, a number that includes both farms and processing plants. There are 10,951 dairy farms (reported by the Canadian Dairy Information Centre, a government-industry web resource) and a little more than 400 processors across the country providing jobs to more than 100,000 people. Nearly a million dairy cows and about 450,000 heifers live on the farms. Former Liberal MP Martha Hall Findlay, now the president and CEO of the Canada West Foundation, a public policy think tank in Calgary, suggests that the rate of consolidation is higher in supply-managed industries than it is in other sectors, which has forced more and more family farms to merge into larger ones. When supply management was introduced in the 1970s, there were roughly 145,000 producers in Canada. Today, dairy farmers make up just six per cent of all Canadian farmers. How much does a dairy farmer earn? The average dairy producer’s net worth is nearly $5 million, and in 2016, the average producer earned an income of about $160,000, even after operating expenses had been paid, according to the most recent numbers available from Statistics Canada. Compared to the average total income of individuals in 2016, which was $43,500, dairy farmers seem to do quite well. The U.S. dairy industry is more than 10 times larger than Canada’s, with nearly 50,000 farms. According to the USDA, in 2018, the average net cash farm income for American dairy farmers is projected to be US$144,100, a significant drop from about US$240,000 in 2017. The American numbers fluctuate from year to year due to changes in the price of milk. But on the whole, U.S. dairy farmers do not seem to fare a whole lot worse than their Canadian counterparts. How big are these farms? The number of Canadian dairy cows per farm has been steadily rising over the years. In 2016, the average producer had 85 cows, a 12 per cent increase since 2011. Canada is often compared to Wisconsin, one of the largest dairy producing states in the U.S., alongside California and New York, where there are about 9,500 dairy farms. They average 134 cows apiece. What will be the impact of the USMCA? Conrad van Hierden says he is feeling a little sour following the Canadian government’s announcement that they have reached a deal to replace the North American Free Trade Agreement (NAFTA). The dairy farmer from Fort Macleod says he is sick of being used as a pawn after learning of the new trade agreement, which allows U.S. dairy producers greater access to the Canadian market. “It seems like the dairy industry has been making more concessions than they’ve been getting out of it — and this one even more so,” he said on Monday. His feelings match those of the Dairy Farmers of Canada, who says similar trade deals like Comprehensive Economic and Trade Agreement (CETA) and the Comprehensive and Progressive Agreement for Trans-Pacific Partnership (TPP) have hampered their role in Canada’s milk market. The U.S.-Mexico-Canada Agreement (USMCA) was struck on Sunday night. “In the long run, there’s going to be a lot more American products on our shelves and our consumers will have to go through that,” van Hierden said. Prime Minister Justin Trudeau and Foreign Affairs Minister Chrystia Freeland are championing the deal, calling it a victory for the middle class and for Canadian businesses. “We have always just focused on the reality that this is a good deal for everyone and we’ve always believed that we were going to get here,” Freeland said. At a news conference on Monday, Freeland said dairy producers will be fully and fairly compensated. She added the government has already started working on that compensation package, but didn’t release any details. So far, van Hierden isn’t impressed with the plan. “We’re not for sale as a dairy industry,” he said. “We don’t want to be put up and get cash back for something we’re not doing. van Hierden says he believes the new agreement could result in revenue losses of up to 15 per cent and said it will prevent a lot of Alberta dairy farmers from investing further in their business. Under the newly-negotiated U.S.-Mexico-Canada Agreement (USMCA), American dairy producers will get expanded access into the Canadian market. Alberta Milk said the province’s more than 520 dairy farms will now be told to produce less milk, resulting in a smaller paycheque. Mike Southwood, general manager of Alberta Milk, is disappointed with the new trade agreement. He said dairy producers have already given up access under Comprehensive and Progressive Agreement for Trans-Pacific Partnership (CPTTP) and Comprehensive Economic and Trade Agreement (CETA). Supply management means farmers meet Canadian requirements for dairy production. With more access being granted to Canadian dairy markets under the deal, processing jobs will be lost and quotas on farms across the country will be reduced, Southwood said. “Dairy is a very perishable product, so it needs to come off the farm every two days,” he explained. Specialty products could easily come from outside of Canada now, Southwood added. Milk producers are hoping for stability but the new trade agreement will affect how small family farms operate, Southwood said. “Dairy is a very perishable product, so it needs to come off the farm every two days,” said Mike Southwood with Alberta Milk. Over the past five years, the Alberta milk industry has experienced 20 per cent growth, Southwood said. “That now erodes that growth, and as farmers try to adapt to increasing costs and changes on their farms, that growth is what keeps them motivated and going,” he said. Deron Bilous, Alberta’s Minister of Economic Development and Trade, has heard concerns from dairy producers but is satisfied with the new trade deal. “We’re glad to see that, at least, the federal government has acknowledged [dairy producers’] significance and importance and are putting forward a compensation package,” Bilous added. In the energy sector, positive changes are afoot, Bilous said. Under NAFTA, Canada had to set aside a certain amount of oil production to be sold into the U.S. That quota has been lifted, which Bilous said will give companies here greater control over where to sell. “Our products will find the best markets and the best dollars,” he said.